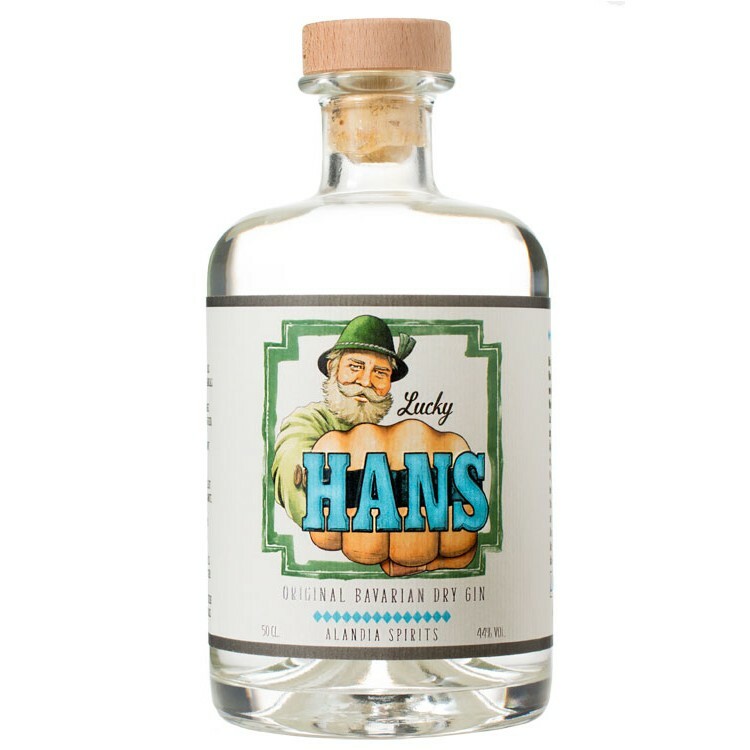 Lucky HANS is exclusively distilled with botanicals, that are native to Germany. Juniper, apple, pear, rowan berry, blackthorn, green walnut and malt are part of its recipe. 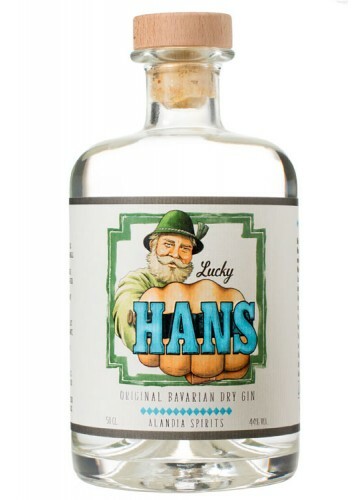 Overall, Lucky HANS is a veritable Bavarian Dry Gin. What´s the story about Lucky HANS..? If you google “Hans”, you receive the following result: Hans is a male first name. As a matter of fact, until the early 60´s Hans remained atop the German chart of popular first names. Since 1960 the popularity has declined, however, and this is the good news, HANS is back! 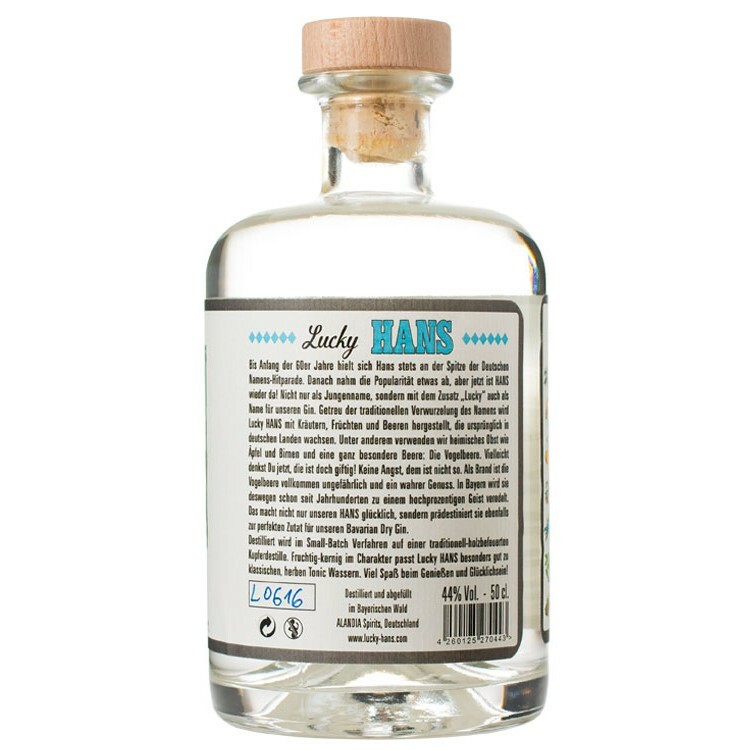 Not only as a boy´s name, rather with the adjunct “Lucky” as the name labeling of this veritable German Gin. True to the traditional roots of the name, Lucky HANS is produced using only the freshest herbs, fruits and berries grown in Germany. You won´t find any other exotic botanicals on the list of ingredients, (i.e., lemon, tonka bean, vanilla…). 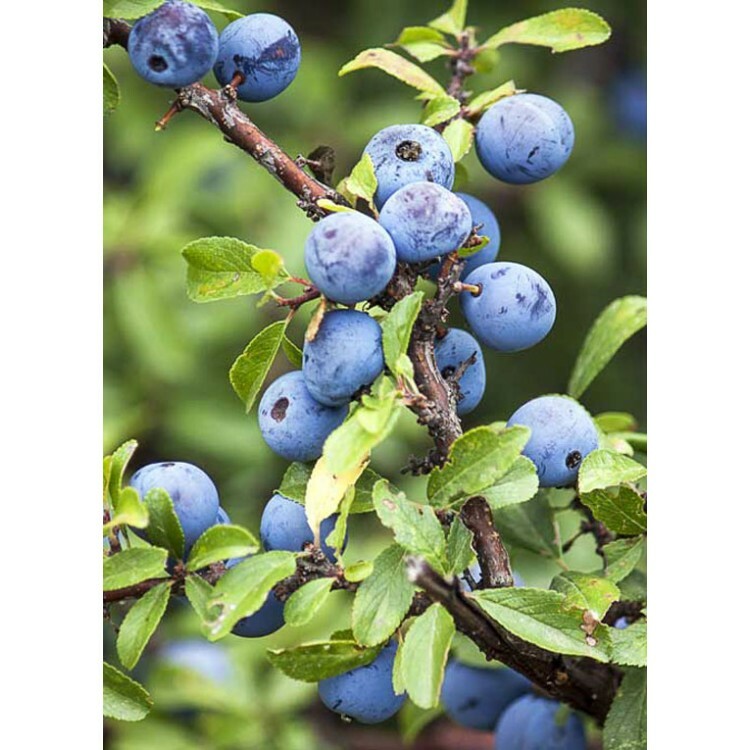 Instead Lucky HANS makes use of local fruits such as apple and pears as well as a very special native berry: The rowan berry. Maybe you're thinking, “Wait a minute! That´s poisonous!” but have no fear. This is untrue. 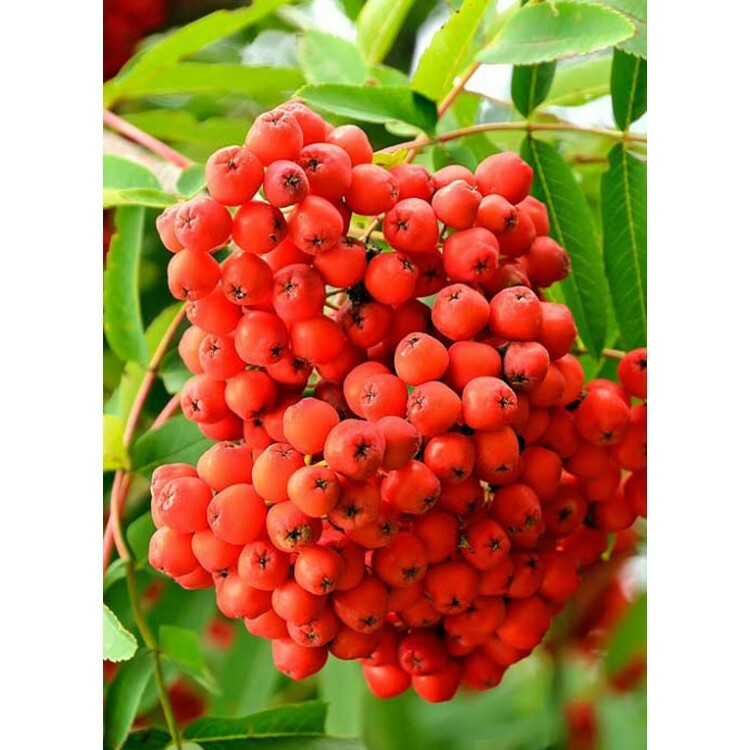 The rowan berry should not be eaten raw as they contain parasorbic acid, which can cause an upset stomach, however, as distillate this berry is completely safe and a genuine indulgence. For this reason, Bavarians have used the rowan berry for centuries to create highly concentrated spirits. 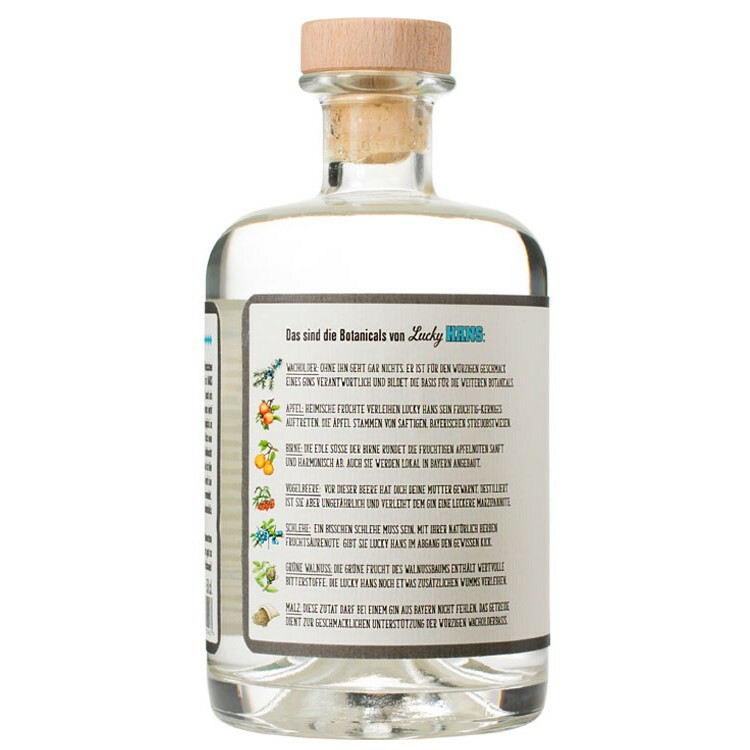 This makes not only our HANS happy, but also makes it the perfect ingredient for this Bavarian Dry Gin. Aside from the rowan berry six other botanicals are used, which all call Germany home. Each processed in small batches in the Bavarian forest and distilled in traditional wood burning copper pots. The result is a Gin with a fruity core which is well suited to classic bitter tonic waters. Have fun while enjoying and get lucky! Curious about what's inside? Allow us to explain. You have arrived at the botanicals of Lucky HANS: 1. Juniper Berry: Without this, there´s nothing! 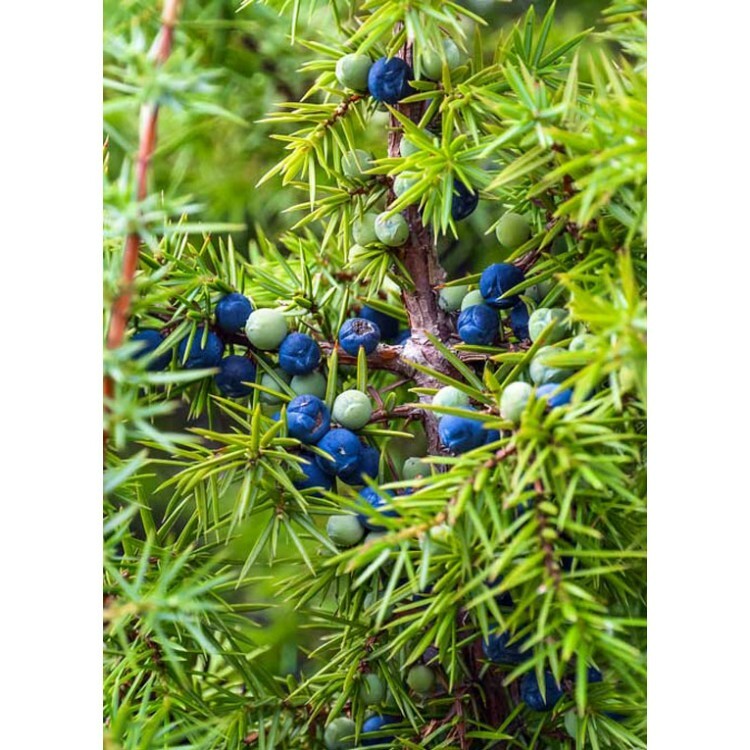 The juniper berry is responsible for the savory spice flavor of any Gin thus forming the predominant basis for any further botanicals. 2. Apple: Native fruits endow their presence resulting in Lucky HANS' fruity core. 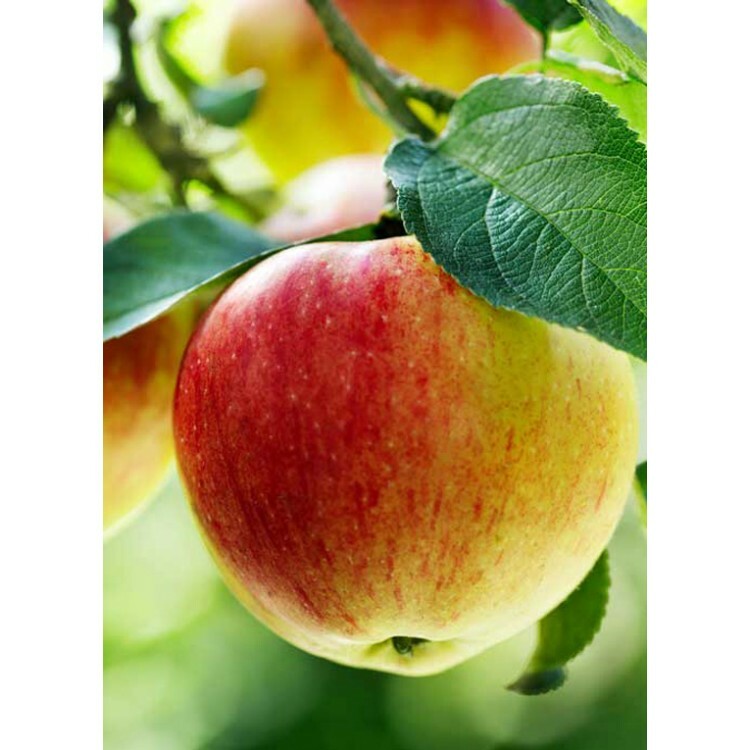 These apples originate from luscious Bavarian orchards. 3. 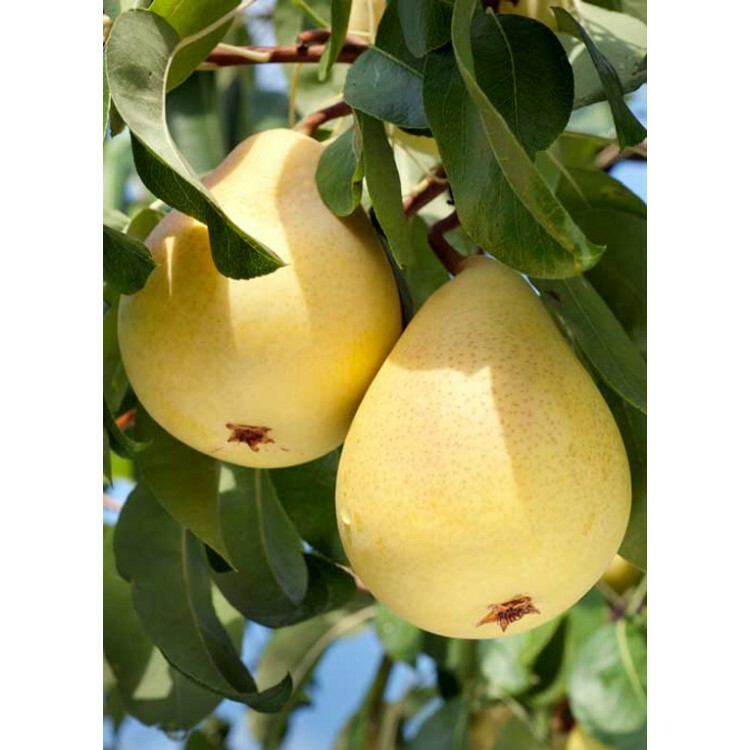 Pear: The lavish sweetness of the pear harmoniously rounds the fruity tone of the apple. They too are cultivated locally. 4. Rowan Berry: The berry your mother warned you about! But have no fear, the rowan is completely harmless when used as a distillate. It gives the Gin a wonderfully creamy hint of marzipan. 4. Blackthorn: A tad blackthorn is a must. With its bitter note of fruity acidity, it provides Lucky HANS with that certain kick. 5. 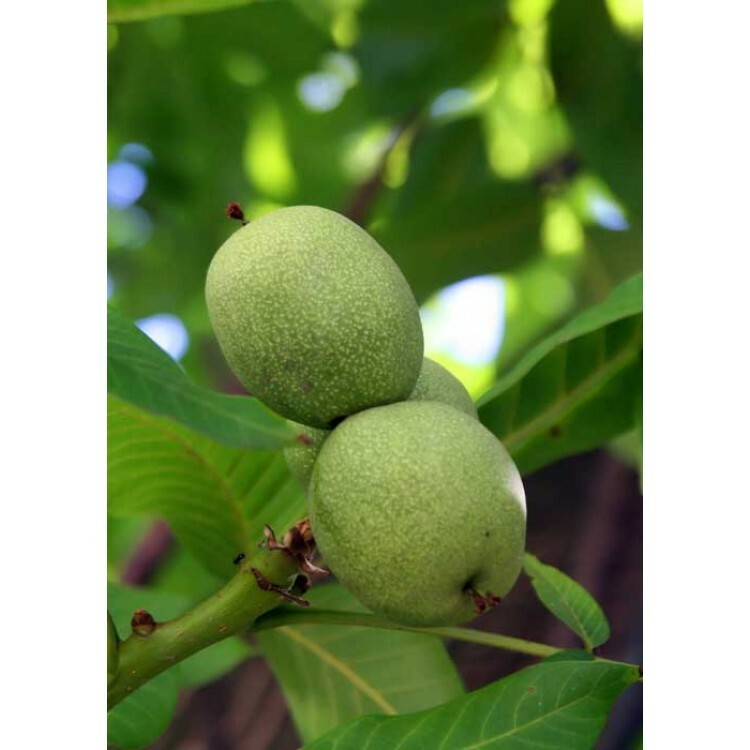 Green Walnut: The same applies to the green fruit of the walnut tree. The husk contains valuable bitter compounds, which lend to Lucky HANS´ extra “oomph!”. 6. Malt: Naturally, a Bavarian Gin must contain this ingredient. 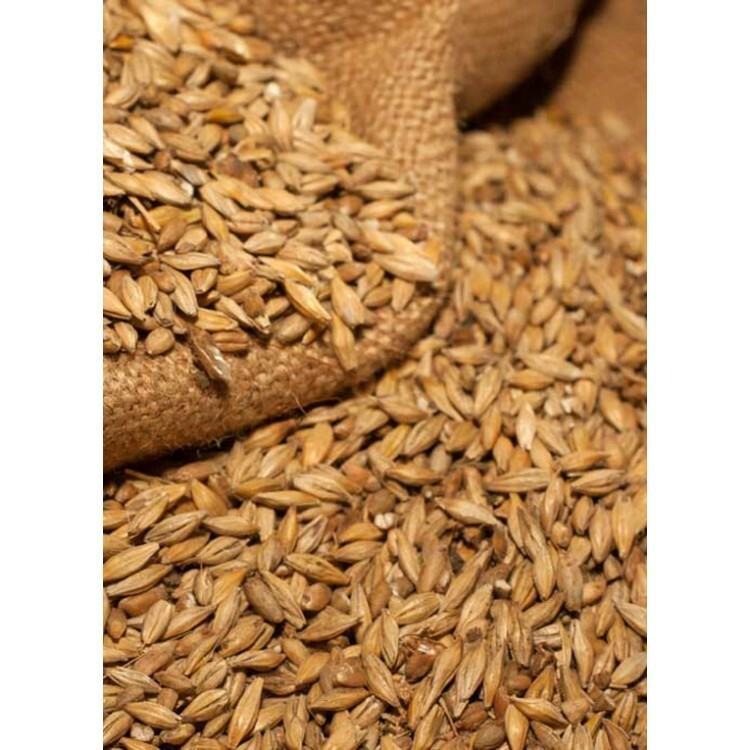 This grain contributes to the flavorful spicy juniper basis. 44% alc. by vol. 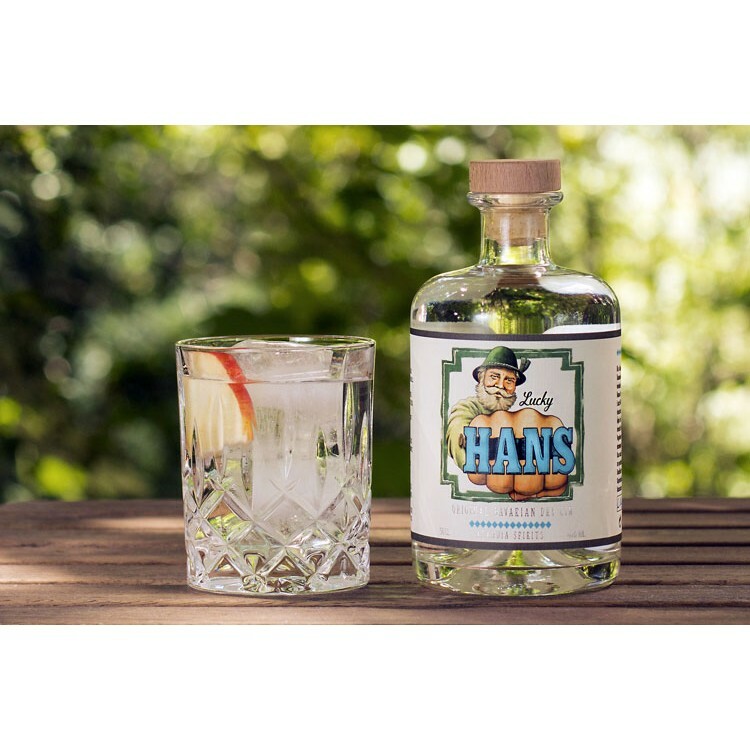 give Lucky HANS a powerful appearance, nevertheless the fruity recipe makes this Gin quite refreshing. We recommend to serve Lucky HANS with an apple zest as a garnish. Prost! The rowan berry flavor is very unique, you need a light tonic to catch of of the notes of this gin.